Many years ago, I'd tried making the traditional pandan coconut jam or kaya ... Wa ! The making process was too tedious for me ... hee ... hee. Since then, I didn’t attempt anymore homemade kaya. Recipe reference from the links above. 1) To make pumpkin puree, peeled and deseeded, cut roughly in small pieces and steam the pumpkin till softened. Drain any water and mash the pumpkin with a fork while still hot. 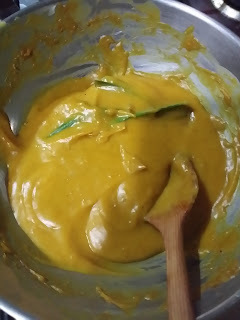 Blend the puree with blender for a smoother texture. 2) Chop the palm sugar into smaller pieces. 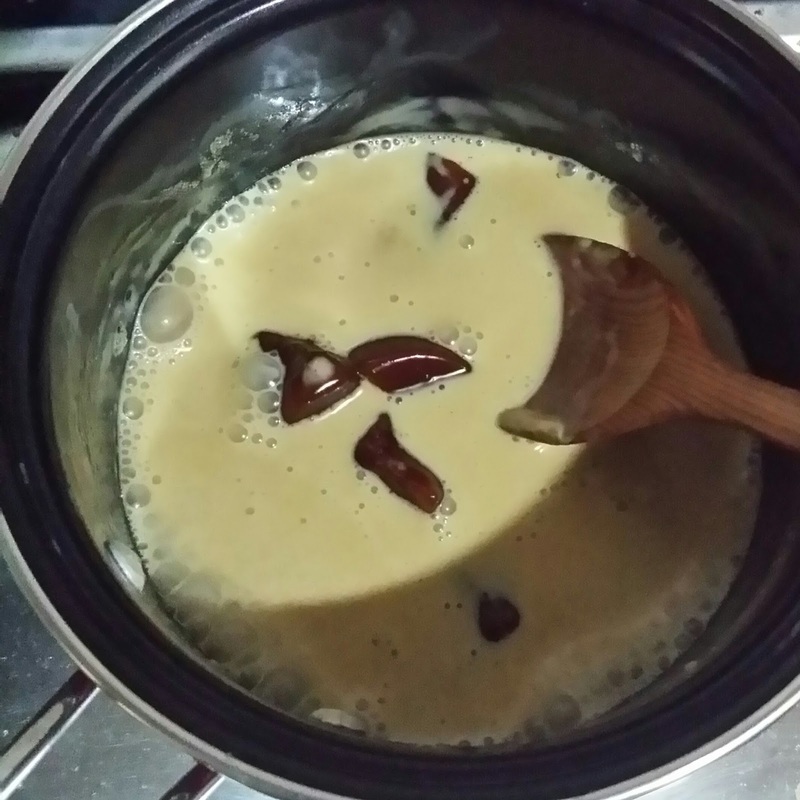 Cook with coconut milk in a small pot with low flame until sugar dissolved, sieve the mixture into a bowl. 3) Combine all the ingredients to a heatproof bowl. Half-fill a cooking pot with water and bring to a simmer. Set the heatproof bowl in the mouth of the pot and cook with low flame. Stir the mixture occasionally. Cook for about 15 minutes or until the mixture thickened. 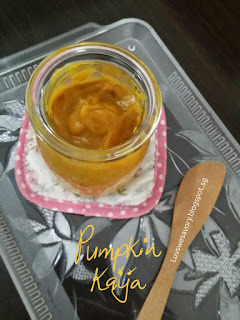 4) Discard the pandan leaves and pour the pumpkin kaya into a container or jar. Cover the container once it's completely cooled. 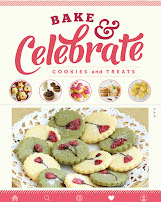 *can use granulated sugar or rock sugar and adjust the sweetness to your preference. as there are no preservatives added, advisable to keep in refrigerator and to consume all within 3 days. Finally ! 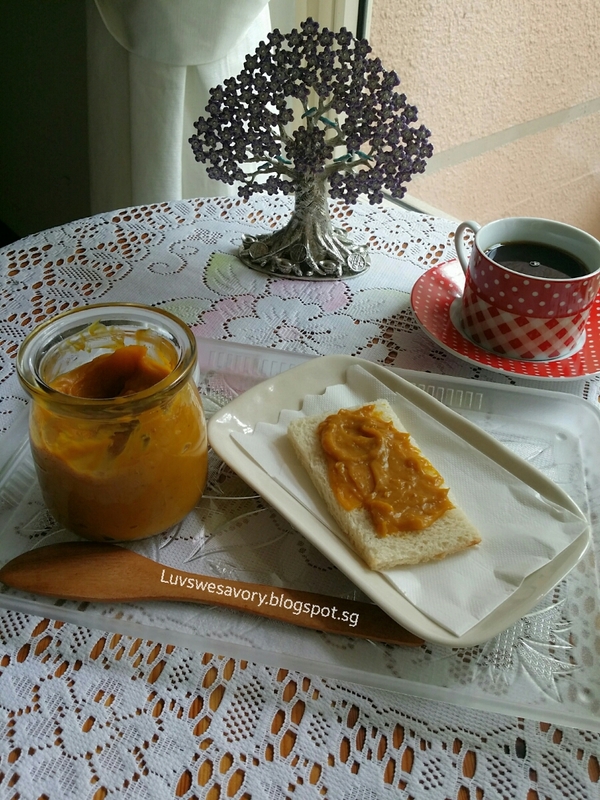 I've made a small jar to enjoy this wonderful homemade spread cos I've yet to find any commercial pumpkin kaya available from the bakeries or supermarkets. July 2015 Event : I have a date with "Pumpkin"
Hmmm I think I will love this pumpkin kaya. I love pumpkin cooked in any form. Happy Sunday and thanks for sharing the recipe! You're welcome, Nancy. You too have a good weekend! Hi Ann, thanks, yes it tasted good. Will make somemore. I like pumpkin kaya too. Hee hee... come come ! Hee .. hee.. hot weather I cannot tahan too long in the kitchen. 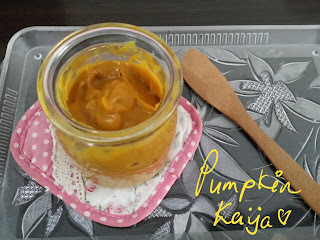 ..
Glad that you have discovered the beauty of homemade pumpkin kaya... Yours look very creamy and nice too! Thanks. Love this homemade Pumpkin Kaya! Hi Karen, I love pumpkin, this is such an interesting jam. Will try this recipe!!! Do give it a try Cheri. I'm sure you'll like it. 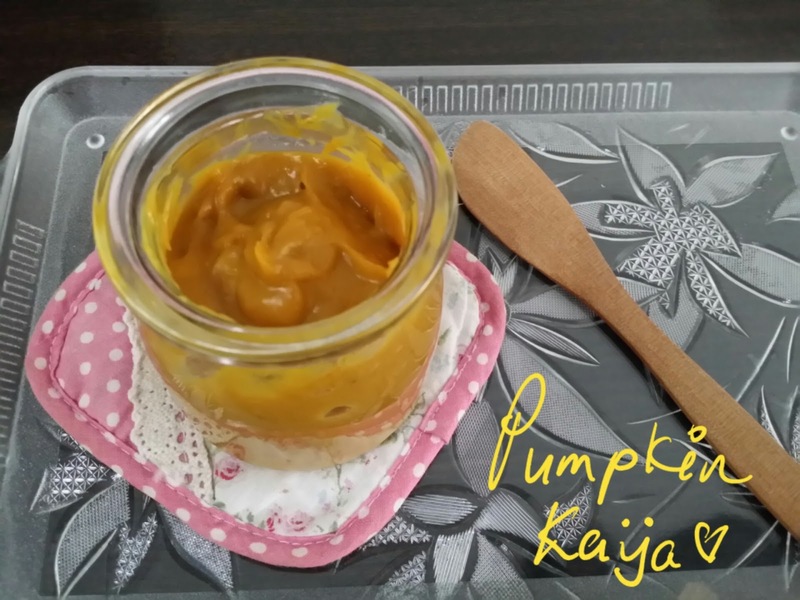 Love your creamy pumpkin kaya! Thanks for the compliment and your sharing too. Hi Karen, I wanted to make this kaya with a recipe I saw in the newspaper but never get down to do it. Thanks for sharing this. It looks so creamy and nice. You're welcome. It's pretty fast & easy to make since I can't tahan 'oven-like' kitchen ... gosh the weather is so hot ! Hi Karen! So you have tried pumpkin kaya and confirmed that it is good. Yes, this one I must also try. 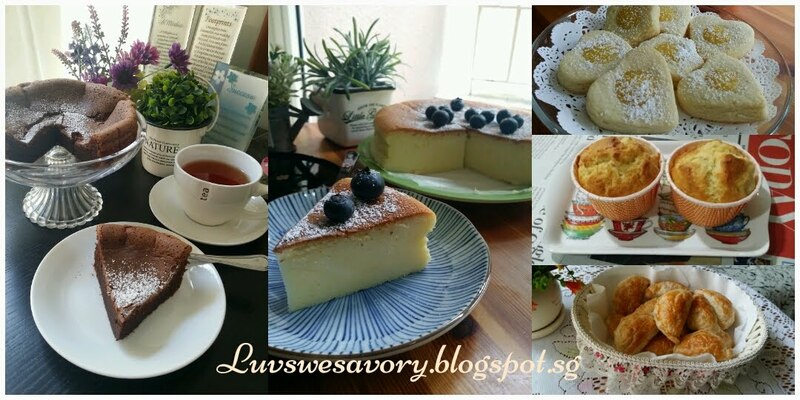 Don't want to miss out on such a special kaya!